5 Things we love about My Favorite Things! Have you been enjoying our “Five Things” feature here on our blog? Each month we focus on one of our wonderful partners and share five things we love about them. Today we’re celebrating “My Favorite Things.” This incredible stamping company has lots of things to love, but we’re sharing five of our favorites. Keep reading for our love list! Charming Images to Color: My Favorite Things is well-known for their delightful animals and people images made to ink and color. If you’re a collector of sweet images, then be sure to check out Birdie Brown’s releases. With a few changes in ink colors, you can use the same stamp image over and over again with completely different results each time. Birdie’s animals and people are so darling. They feel like friends! Here is a gorgeous scene card created by Justine Hovey with a few of Birdie’s sets. Click HERE to read more about this incredible card. 2. Custom Ink Colors: My Favorite Things understands that certain ink colors are more popular than others. They’ve taken all the guesswork out of choosing ink colors and created their own beautiful line-up of ink pads. Colors can be purchased individually and refill ink is available. Hybrid and Dye Ink options are both offered. You can see how beautifully the inks work together in this card designed by Leigh Houston. Click HERE to read more about this sweet card. 3. Tutorial Videos: You can find several amazing tutorials on the My Favorite Things YouTube channel. Click HERE to subscribe. Each video offers tips and tricks for using the MFT stamps and dies. Try a new technique from one of the tutorials featured on their channel. You can watch one of their latest videos by clicking the video below. 4. Gorgeous Dies: While MFT offers coordinating die sets for many of their stamps, they also offer stand-alone dies. From alphabets to scene-building dies, and more, card makers that love dies will fall in love with the My Favorite Things die options. 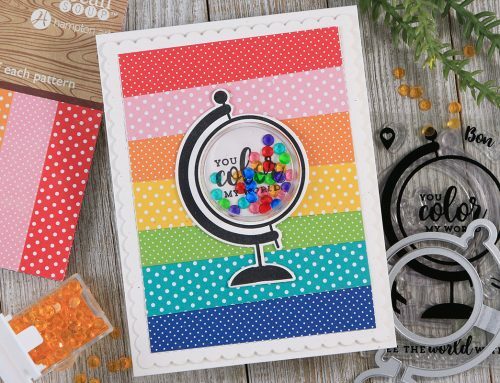 Designed to work with a manual die cutting machine, you’ll want to check out their new releases each month for their latest die designs. You can see in this card how dynamic their dies look on this card designed by Torico. 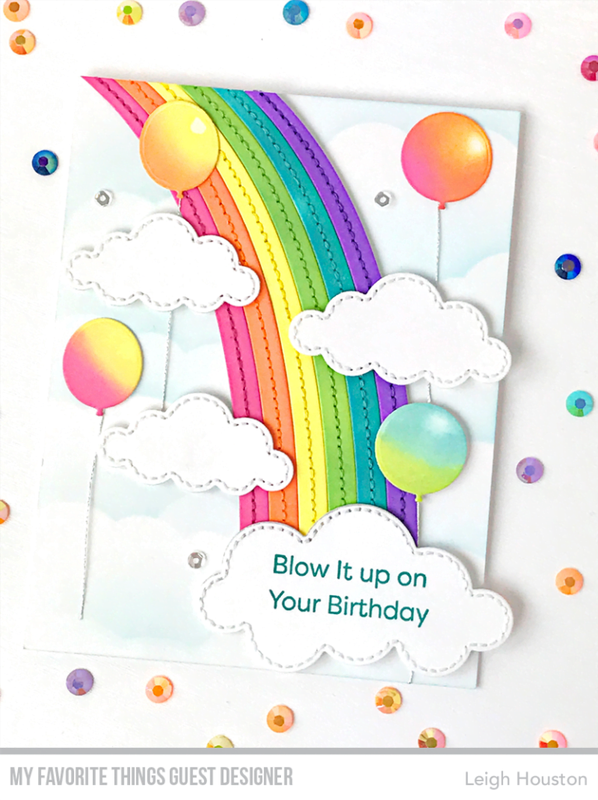 Click HERE to read more about this amazing card and die set. 5. Challenges: Looking for some creative mojo? Check out their Color Inspiration blog HERE. You’ll find challenges and inspiration ideas on how to use the MFT products. Entrants get a chance to win Gift Certificates to shop their online store. The MFT community is full of encouraging and kind card makers. Head on over now to join! Here’s a recent color challenge from their blog. You can see they’ve already suggested over 100 different color combinations. Now that is a whole lot to LOVE! Are you familiar with this amazing company? Tell us something you love about My Favorite Things. Is it their Customer Service, their stamp and die designs, or their amazing community? We’d love to hear what your love list is for this incredible partner. Leave us your list in the comments below. Take a moment to follow them on their social media channels. Be sure to tell them we sent you! 5 Things We Love About Jillibean Soup! 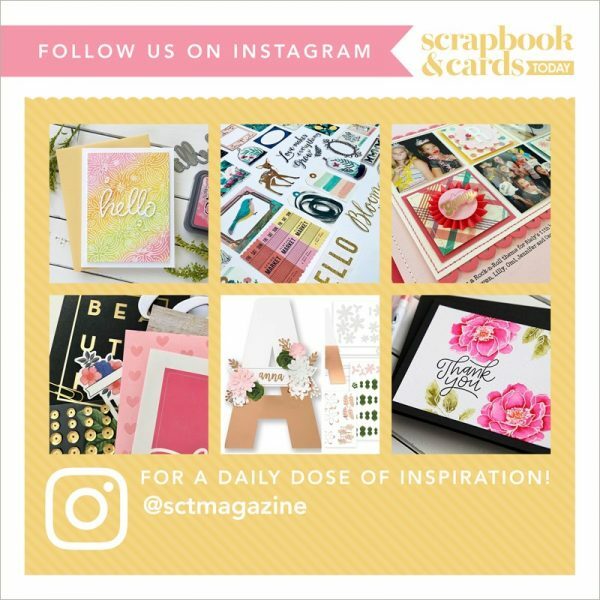 5 Things We Love about Crate Paper! 5 Things we LOVE about Echo Park! NEW! 5 Things We Love featuring Hero Arts! What a great post! Thanks so much, SCT! I like MFT because of the images to color, the cuteness of their characters and then their framelets to showcase the word or saying is a hit at my house! I love MFT! They have fabulousdies! I love MFT and have to wholeheartedly agree with your assessment of the Birdie Brown line. I love her sweet images. All of the MFT products that are have are first rate! I always look to the MFT design team for inspiration. I have a few sets and stencils and love their products. A great company. When you buy something from them, I love the way they package it and it makes you feel so special. What I like especially about MFT are their colors, stamp and die designs. The vast selection of products is incredible and their shipping is the fastest in the industry. I also enjoy participating in their challenges and the company regularly donates to charities and supports worthy causes. My Favorite Things have great dies, stamps, great ideas and we all can use that. I love rainbows and the snowman card. My Favorite Things also have great desiners. I love MFT, wonderful company! I have some word dies and shaker pockets. I think these are great. Love the Joy card. A favorite of mine, MFT, they have charming designs, their dies work perfectly and their stamps are high quality. The designers always have something inspiring to get my creative juices flowing. My favorite thing is that they have you covered from the essentials like stacker dies, all the way to dies that make intricate interactiove cards! The Blueprints make card making a breeze, they inspire just by looking at them! The images are a wonderful size, not too tiny and not too big! They are just right! They are consistantly wonderful and it makes mixing and matching sets a breeze! They are TOO stinkin’ cute! AND…. there DT ROCK those awesome images and bring them to life! I love MFT. 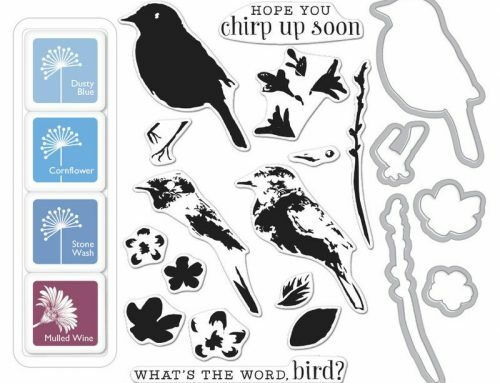 I purchased a coulple of dies & sentiment stamp sets after I won their $100 giveaway. I have a lot more on my wishlist but cannot buy unless I win again. I love their annual summer school sessions & the superstar contest. Simply darling stamps and dies! One of my favorite companies! Fabulous quality products! And they always release awesome new designs each and every time! The diecuts are amazing!! The DT is fabulous and the creativity never ending! Thank you for sharing and the wonderful opportunity! I love the variety of images they have and their interactive elements that help me bring my cards to life! TFS! I love the stamps with dies. I also love their shaker pouches. I love MFT! Their last release (November) was amazing. 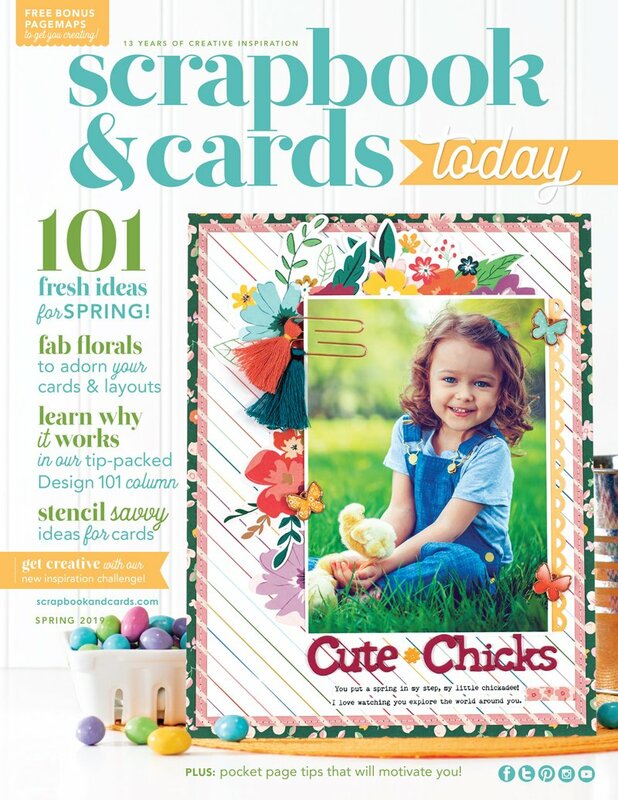 I love the adorable and heart warming images of their stamps, and yes, the Birdie Brown images feel just like friends. Simply wonderful. And they have excellent customer service and very fast shipping!